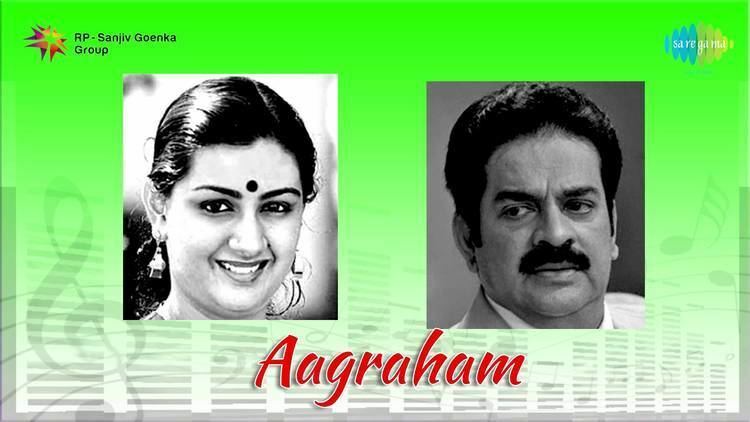 Aagraham is a 1984 Indian Malayalam film, directed by Rajasenan and produced by V Rajan. The film stars Menaka, Devan, Adoor Bhasi and Shubha in lead roles. The film had musical score by A. T. Ummer. The music was composed by A. T. Ummer and lyrics was written by Poovachal Khader.